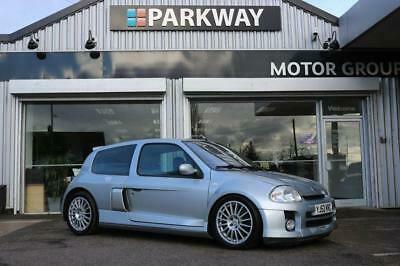 #079 Ph1 Clio V6 for sale – V24 RENUnfortunately, the decision has been made so # 079 is up for sale. I have owned this car for almost 5 years and covered around 6000 miles in that time. 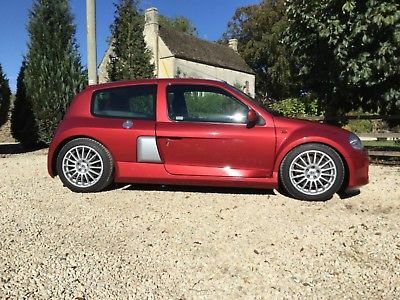 It has 44k miles and has a full service history including cambelt replacement in December 2016 carried out by Scott at SG Motorsport which also included a list of other things such as: New clutch New starter motor New water pump New camshaft dephasers Fitted trophy ignition coils New brake pads 12 months MOT I have a folder full of receipts, MOT’s etc.. The car is in excellent condition inside and out. It has a full Janspeed exhaust system fitted including manifolds and decat pipes, I still have the original system that will be included in the sale. 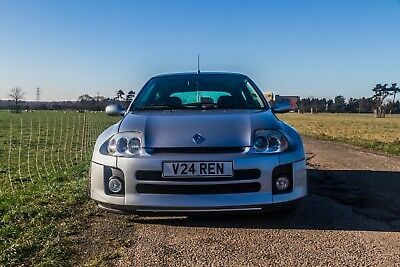 It also come with the private number plate ‘V24 REN’ which looks great. Michelin Pilot Sport tyres all round. Clear engine cover (original will be included in the sale). 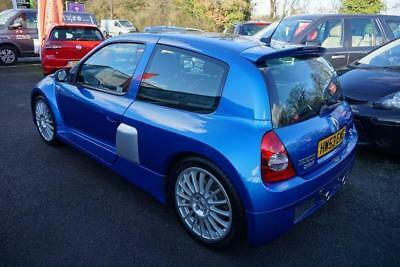 I have an indoor car cover with the ‘V6clio.net’ logo on from Classic Additions that can be included in the sale too. 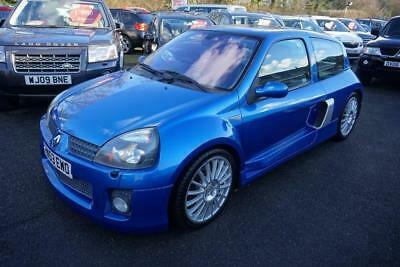 This really is an excellent example of a ph1. Any questions, please ask. Thanks. 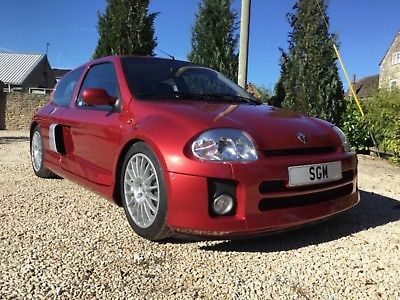 SGM Sports and Prestige offer for sale this Renault Clio V6 Phase 1, plaque number 416, a Mars Red car, in superb original condition having never been re-painted and having done 26,710 miles. It has full documentation from new. 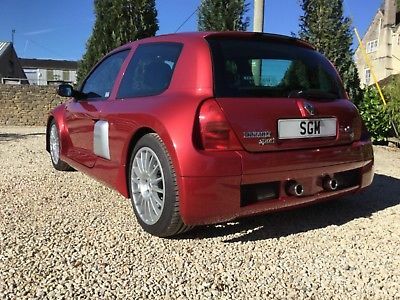 It has no modifications apart from the side pods being painted silver, which the first owner had done shortly after he bought it, and before the Phase 2 was launched (which have silver side pods as standard). There are a few stone chips on the front. 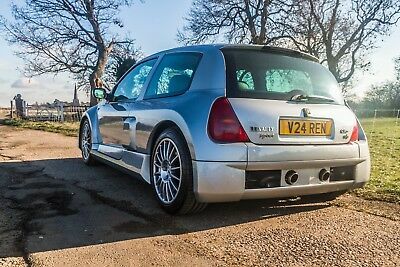 It is now virtually impossible to find a Phase 1 that has not been re-painted, apart from the few that have been tucked away with less than 1000 miles on the clock, and they would sell for considerably more than I’m asking. Under the bonnet / liner is in excellent condition, and the underside of the car, in the wheel arches etc., is in superb condition. 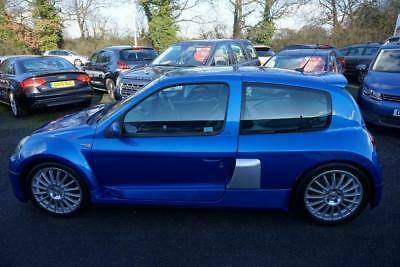 The wheels are original, never been repainted, and are also in superb condition. 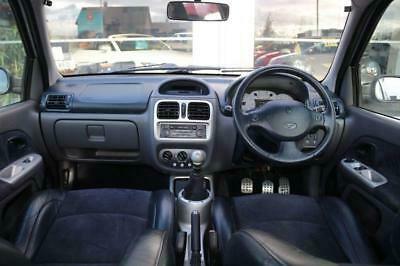 The interior is completely original, with the exception of the steering wheel which has had a new cover. 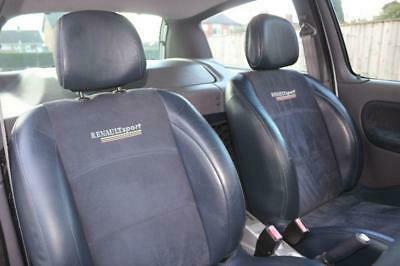 The whole interior is in excellent condition. There are not many Phase 1 cars left that are in such good condition, on the outside, underneath and on the inside. All the original Renault documentation, in the original aluminium chequer plate box, is present, as are all the old MOTs and invoices. Both original keys and blippers are with the car, and both work. The next MOT is due at the end of August 2019. 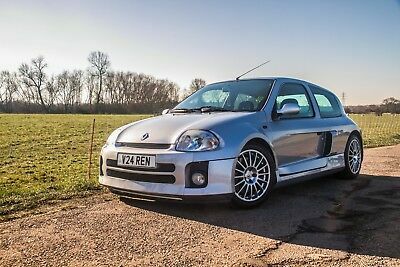 This car is certainly one of the best Phase 1 Clio V6 remaining in the UK, and could be simply elevated to show / concours condition if wanted. The second owner, who had the car for 8 years, cleaned and polished the car most weekends whilst he had it, and that work still shows on the car. Please call 07768 795605. 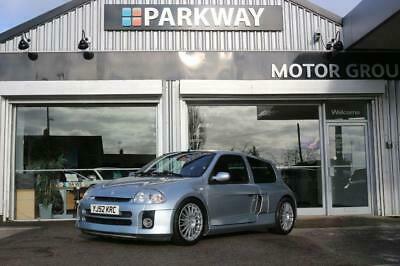 I run a workshop facility in the UK specialising in the Clio V6. Since 2005,I have provided straightforward maintenance, overhaul, rebuild and performance enhancement services to several hundred customers in the UK and overseas, and have a full complement of parts to support these remarkable cars. 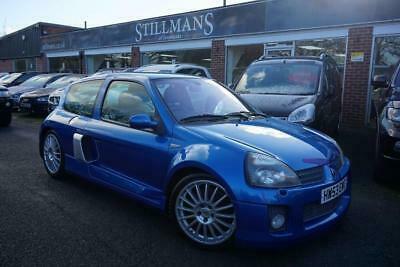 SGM Sports and Prestige offer this Phase 1 Renault Clio Lutecia (Clio V6). This car was made for the Japanese market and sold under the name Lutecia. This is a left hand drive car. This car was imported in 2014 and SG Motorsport has carried out all servicing work since it’s been in the UK. The cambelt is due in 2020. This car is in excellent condition with no signs of corrosion on the underside (which is very rare). The mileage is 53,711km. More information and pictures of this vehicle can be supplied on request. Grab a Brexit bargain! £23,000. 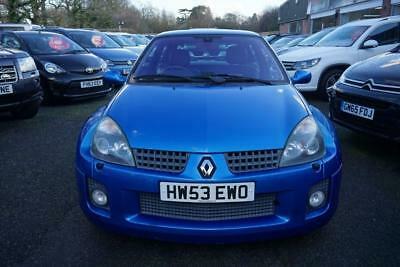 This car is for sale on other sites.AFTER SEARCHING FOR MORE HISTORY ON THIS CAR FROM JAPAN IT IS SHOWING ON RENAULTS SYSTEM AS HAVING 108077km ON THE CLOCK ON THE 13.1.2009 I have been looking in to the mileage over the last few months as when i carried out a history check with renault it was logged as having 108077km in 2009When the car was imported to the uk in 2014 it only had around 49910km on the clock and i have serviced it for customer since then.I found a company in japan that can carry out service history checks,so invested some money in to finding out more about the car.It had an inspection in japan on the 19-7-2011 at 144200 and again on the 13-8-2013 and was sold at auction on the 3-6-2014 with 149865km on the clockSo the true Mileage is around a 155000km from all the information i have found out.I have a full report from japan and pictures from the auction house of my car.This car is in fantastic condition above and on the underside with very little corrosion and the engine and gearbox are perfect and everything works as it should.I specialise in the Clio v6 so have seen plenty come through my doors and every one that has come over from japan has been low mileage cars(well on the speedo)This car requires no work,cam belt is due in 2020 . Print out from Renault on the above is now in the service history folder.The car came in to the UK in 2014 with 49910km showing on the clock. Please call 07768 795605. 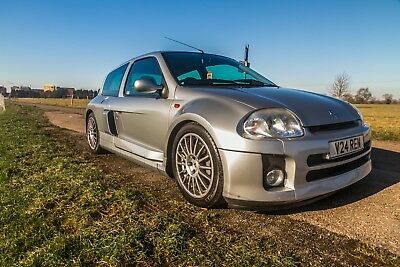 I run a workshop facility in the UK specialising in the Clio V6 since 2005 and worked on them since 2003 I have provided straightforward maintenance, overhaul, rebuild and performance enhancement services to several hundred customers (including other specialists? 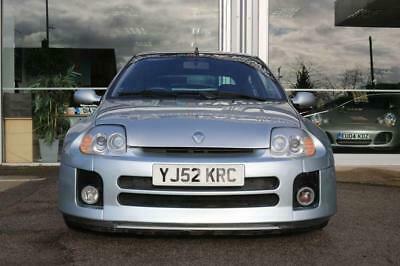 )in the UK and overseas, and have a full complement of parts to support these remarkable cars. 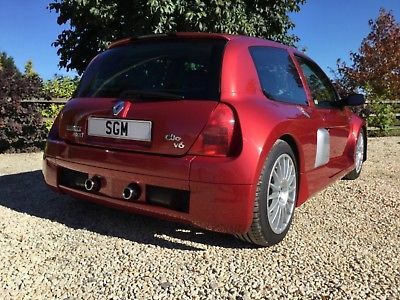 SGM Sports and Prestige offer for sale this Renault Clio V6 Phase 1, plaque number 416, a Mars Red car, in superb original condition having never been re-painted and having done 26,710 miles. It has full documentation from new. It has no modifications apart from the side pods being painted silver, which the first owner had done shortly after he bought it, and before the Phase 2 was launched (which have silver side pods as standard). There are a few stone chips on the front. 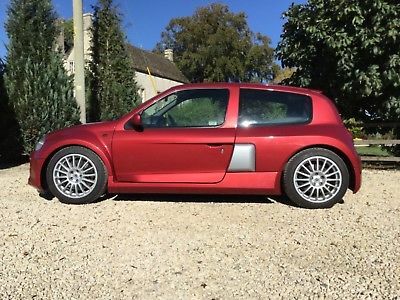 It is now virtually impossible to find a Phase 1 that has not been re-painted, apart from the few that have been tucked away with less than 1000 miles on the clock, and they would sell for considerably more than I’m asking. Under the bonnet / liner is in excellent condition, and the underside of the car, in the wheel arches etc., is in superb condition. The wheels are original, never been repainted, and are also in superb condition. The interior is completely original, with the exception of the steering wheel which has had a new cover. The whole interior is in excellent condition. There are not many Phase 1 cars left that are in such good condition, on the outside, underneath and on the inside. All the original Renault documentation, in the original aluminium chequer plate box, is present, as are all the old MOTs and invoices. Both original keys and blippers are with the car, and both work. The next MOT is due at the end of August 2019. 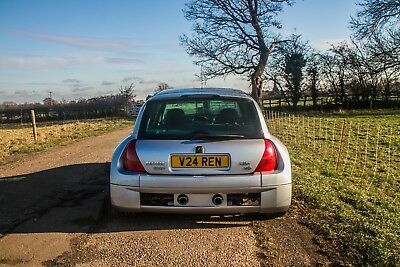 This car is certainly one of the best Phase 1 Clio V6 remaining in the UK, and could be simply elevated to show / concours condition if wanted. The second owner, who had the car for 8 years, cleaned and polished the car most weekends whilst he had it, and that work still shows on the car. Please call 07768 795605.